Hotel owners and managers take big decisions concerning the operation of each location or franchise very seriously. 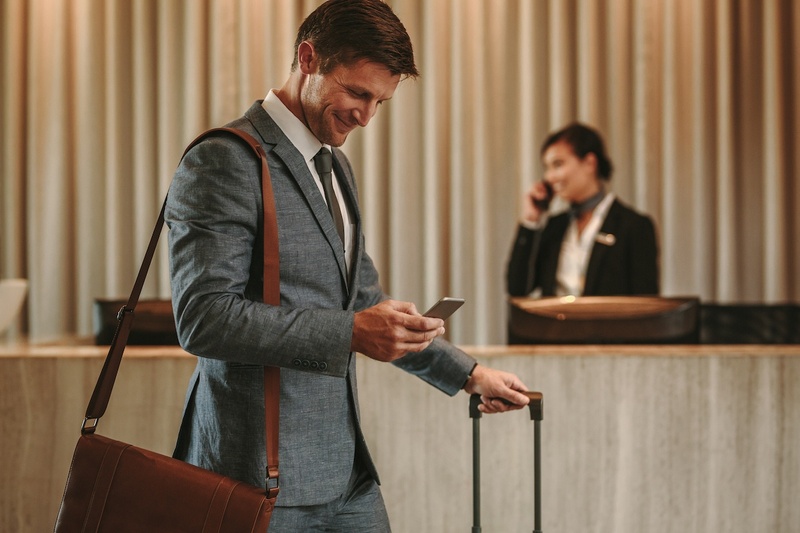 Since a communications system is so integral to the daily operations of any hotel, regardless of its size, making the decision to upgrade to a VoIP phone system may take a while. Once that decision has been made, however, it doesn’t take long before you realize that you've made the right choice. Going forward, you will be able to provide your employees and guests with a much more robust communications system that will last you for many years to come. Even now, you might not realize exactly why so many businesses are turning to Voice over Internet Protocol for their communications needs. The truth is, that despite all the benefits and cost savings that often attract business men and women to VoIP, what it truly comes down to is a pair of primary elements - simplicity and control. Let's briefly break each one down so that you can understand how each of these elements relates to a hotel’s operations. Familiar Functionalities - Rather than introduce a guest or employee to a completely new way of doing things, VoIP phones offer the same functions in terms of making/receiving calls and menu choices. This means that employees will have an easier time adapting to the new system, and their work won’t suffer. Simple Integration - A complicated system often creates a need for endless wiring and added equipment. Since a hotel’s VoIP system runs in the cloud, Ethernet cabling is all that’s needed to connect the phones for the hotel’s communications infrastructure. Bring Their Own Device - When an end user can bring his or her own device into the mix, things often run a heck of a lot more smoothly. VoIP allows a hotel to provide this option to both its employees and its guests, thereby improving their experience with the system. Reduction in Training Time - The simplicity of how VoIP phones function translates to a reduction in training for your employees. This is because the interfaces needed are mostly graphical and intuitive in nature, which provides more control in delivering information to those who need it most. System Management - With all the options available for VoIP - from Find Me/Follow Me to Do Not Disturb - the front desk and hotel administration have more than enough control to address guest concerns and provide greater service to them. PMS Integration - As we all know, your hotel’s Property Management System is the central hub for check-in/check-out, reservations, room availability, guest profiles, and much more. Integrating VoIP with your PMS allows for more control over the basic (and not-so-basic) functionalities of your hotel. Once you realize that the benefits of your hotel VoIP phone system breaks down to simplicity and control, it's easier to understand why it's such an attractive prospect for hotels and other businesses. The professionals at Phonesuite can explain in more detail and will give you a rundown of how an upgrade and subsequent operation would work. Give us a call and we’ll get you started. Previous StoryCould Switching Your Hotel Phone System to VoIP Make You a Big Player?